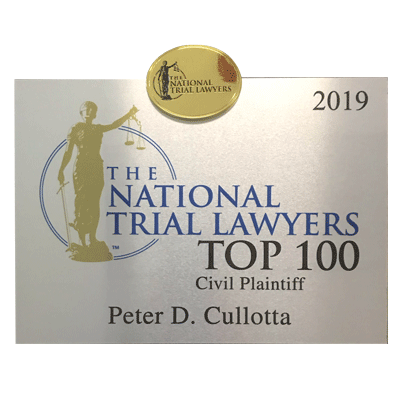 Law Offices of Peter D. Cullotta, Ltd.
As an attorney with over twenty-five years experience, Peter D. Cullotta has obtained millions of dollars in settlements for his clients. His strong belief that each individual deserves courtesy, dignity and respect -- combined with his commitment to providing the most aggressive and comprehensive legal assistance to every client -- makes Peter D. Cullotta the very best advocate for you. 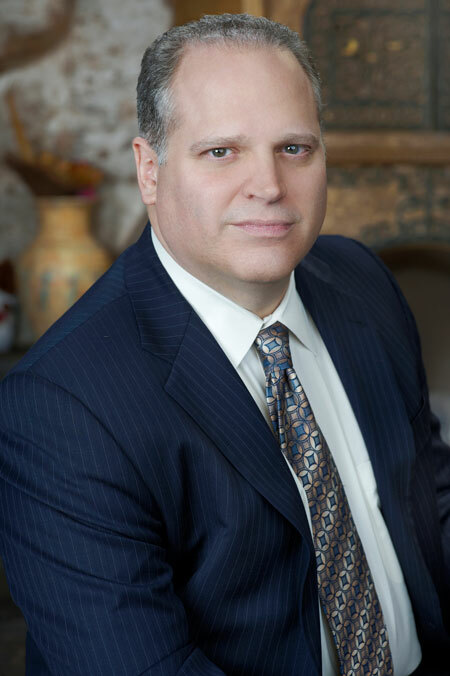 Peter D. Cullotta has over 25 years of litigation experience in handling personal injury cases. 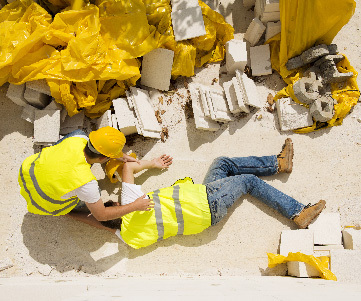 All of our Workers' Compensation cases are handled on a contingent fee basis. If for any reason a settlement is not reached you will owe no attorney fees. The amount of abuse and neglect that takes place every day in Illinois nursing homes is staggering. 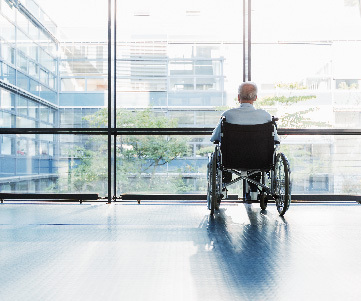 Contact us today if you suspect nursing home abuse. We believe in treating all people with courtesy, dignity, and respect. We believe that every client deserves aggressive representation. We believe trust is the most important part of the attorney/client relationship. We believe in utilizing all of our litigation expertise and professionalism on behalf of our clients. We believe that the attorney assigned to the case should return all client phone calls the same business day. These beliefs and values have allowed us to successfully represent thousands of clients over the last twenty-five years, and have allowed us to earn a reputation built upon professionalism and respect. 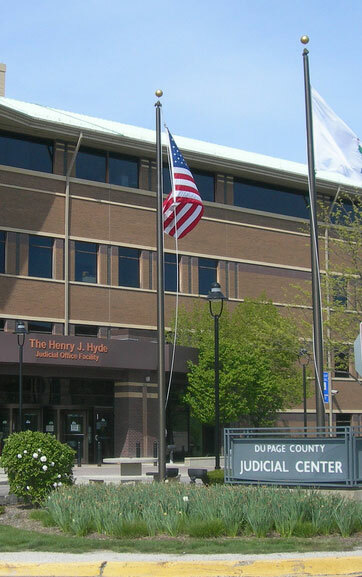 Peter D. Cullotta has been practicing law in the Chicago area since 1990. In addition to his representation of injured clients, he has also acted as an independent arbitrator on the behalf of injured parties and insurance carriers. During his career he has successfully obtained millions of dollars for his clients through settlement, trial, arbitration and mediation. Ms. Bravo Graduated from the University of Illinois at Chicago with honors and a double major in Political Science and Psychology. 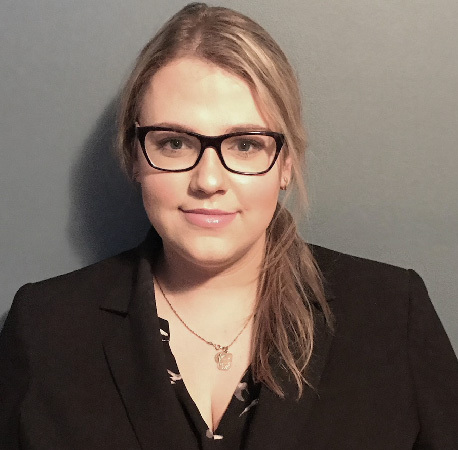 Upon completion of her undergraduate studies, Goda Bravo attended and graduated in 2017 from The John Marshall Law School, Chicago. During her legal studies, Ms. Bravo was awarded the prestigious Cali Award for Excellence in the Study of Evidence and worked for two years as a teaching assistant for a well respected professor. NOTICE: Emailing an attorney shall not and does not create an attorney-client relationship between the attorney and users of this web site or any other party whatsoever. An attorney-client relationship is ONLY established through a written engagement, and only where doing so would comply with all applicable laws and ethical rules. By clicking "Submit" you are agreeing to the terms of this web site. Settlement for the driver of a vehicle who sustained fractured ribs and a closed head injury. 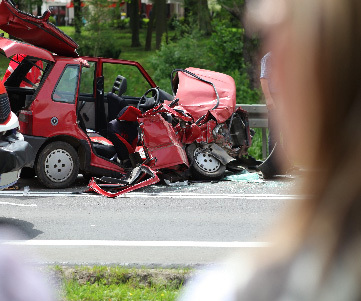 Settlement for the estate in a wrongful death motor vehicle accident. Settlement for a driver who sustained a herniated disk in a motor vehicle accident. Judgement for an infant who sustained severe burns to the body. Settlement for a passenger who sustained an un-operated herniated disk in a motor vehicle accident. "★★★★★ If there was a way to leave a ten star review, I would. From start to finish Peter and the girls in the office made it easy and convenient for me to navigate this tough situation. My family and I will be forever grateful for the Cullotta team. If you're ever burdened with a terrible situation like my accident, do not hesitate to have Peter your side!!" "★★★★★ Great attorney very thorough. His secretary Gorda always follows up to make sure things that need to be done are done and is always available for questions. I highly recommended this team." "★★★★★ They have been great, easy to deal with. I have always felt like they care and have taken care of me the whole way through." "★★★★★ Highly recommend attorney Peter Cullotta and his staff! They are highly attentive to your needs and are great at following up with you. His team helped my parents settle a car accident that other attorneys weren't able to figure out." "★★★★★ I was welcomed with kindness and was seen promptly. All questions were answered and my case was handled quickly. Thank you Goda for your hard work." $800,000 Settlement for a driver who sustained a herniated disk in a motor vehicle accident. $1.3 million Settlement for the estate in a wrongful death motor vehicle accident. Click to leave a review on Yelp. Click to review on Google.